If you’re afraid of the dentist and have not had a check-up in years, this post from Vanguard Dental Group in Derry is for you. Good news! Dentistry is nothing like it was when you were a kid. Maintaining your dental health has never been easier or more comfortable. 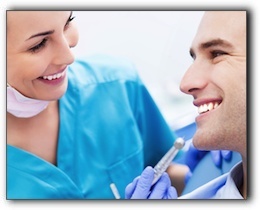 First off, if you need dental treatment, sedation dentistry can get you through the procedure. There are several levels of sedation that put you in a state of relaxation. We offer nitroux oxide (laughing gas) and oral conscious sedation, which involves taking a sedative beforehand. If you have a bad memory of pain for days after a procedure, no worries! Improved painkillers, laser dentistry, and advanced techniques have reduced the pain experienced by Vanguard Dental Group patients. You don’t have to live with gaps in your smile, sore gums, stained teeth, or a toothache. We can take care of all your dental troubles. We will help restore your oral health to improve your quality of life and prevent dental issues from affecting other parts of your body. At Vanguard Dental Group in Derry NH, we take care of your dental health. Our services include dental implants and pediatric dentistry. Schedule an appointment today.